The pics used in the collage above aren’t from a botanical garden or swanky spa – though they certainly could pass for either. 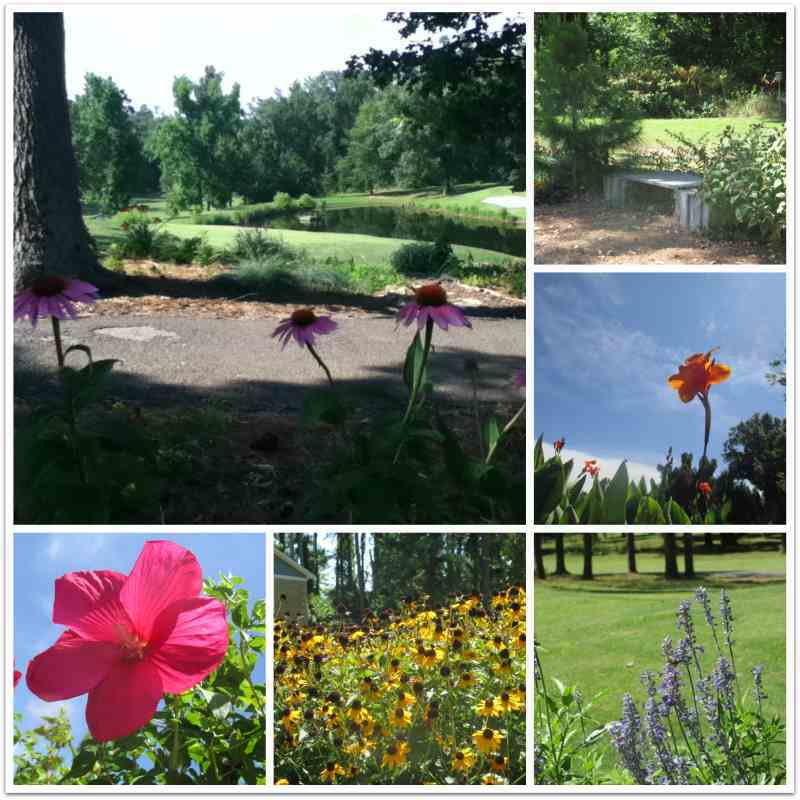 These were taken over the past two years at Kentucky Dam Village State Resort Park’s beautiful golf course. The landscaping – and overall meticulous care – of this golf course is phenomenal. Whenever we go to Kentucky State Parks (or other tourist spots), I always pull for them to represent our state in the best way possible. This golf course (and the entire property of Kentucky Dam Village State Park) is just a picture perfect example of what it means to represent! It always makes me extra proud of my state. That’s something you absolutely cannot put a price tag on. Click the picture above to see larger. See more pictures of Kentucky Dam Village State Resort Park’s Golf Course in our photo album. 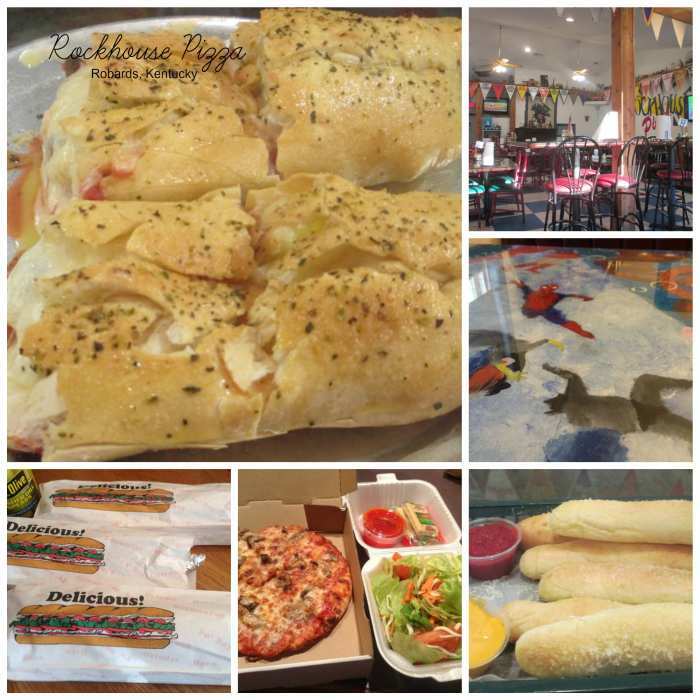 The Kentucky State Resort Parks are, honestly, some of the best places for shopping – whether you’re shopping for yourself, loved ones, a teacher, co-worker, or postal worker. I remember when my parents would leave something special for our mailman every Christmas! Personally, I shop in these gift shops year round. I’m ALWAYS popping into these shops for Kentucky Food (jams, honey, jellies, sauces, candy, tea, etc. ), jewelry, and coffee mugs. I also love shopping in the park’s shops for gifts. 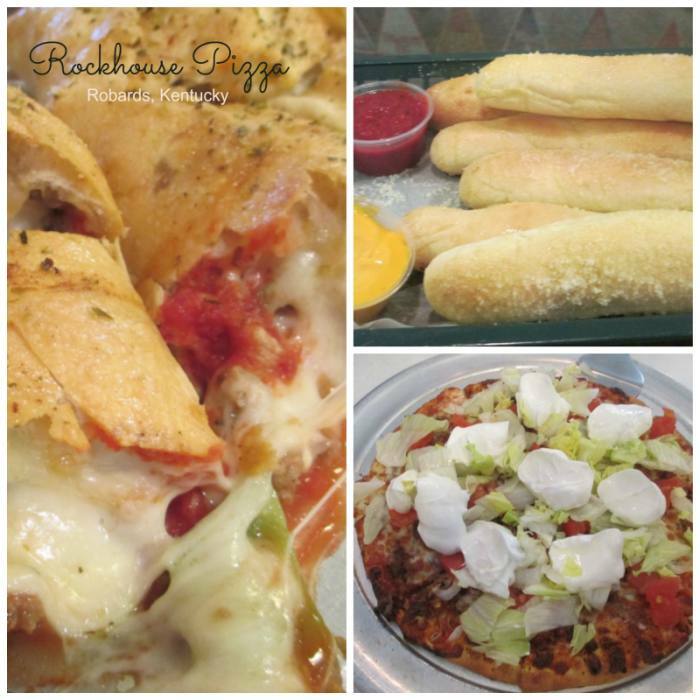 Whether it’s birthdays or Christmas, you can find a little bit of everything. When it comes to gift-giving, I’m a stickler for originality. I loathe the idea of giving someone something that they’ve seen – or, worse yet, something they may already have! Plum Jam (delicious!) is tough to find – In fact, the only place I CAN find it is in Kentucky State Park Gift Shops. I always make sure to have at least one jar on hand. 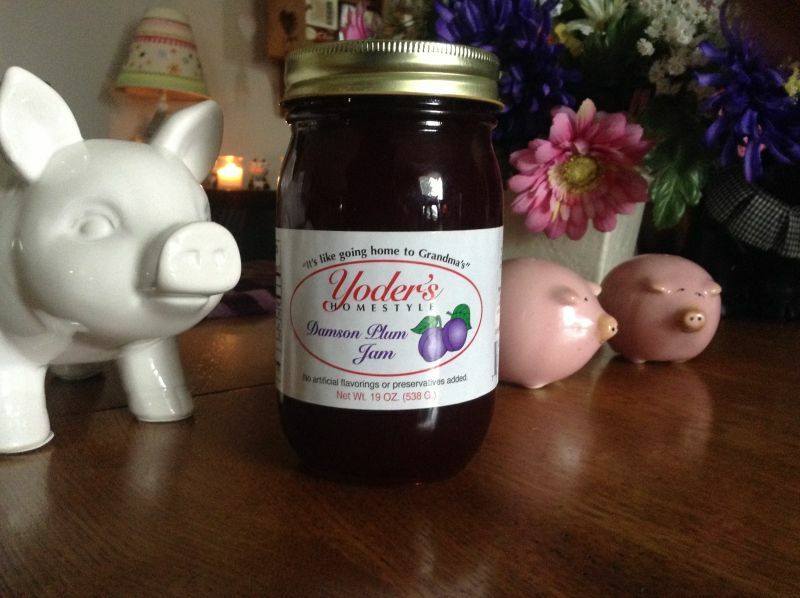 The Yoder’s Plum Jam, pictured above on my dining room table, is Heavenly on Buttermilk Biscuits and Cornbread. And, yes, as a matter of fact, I have a thing for pigs… how could you tell? 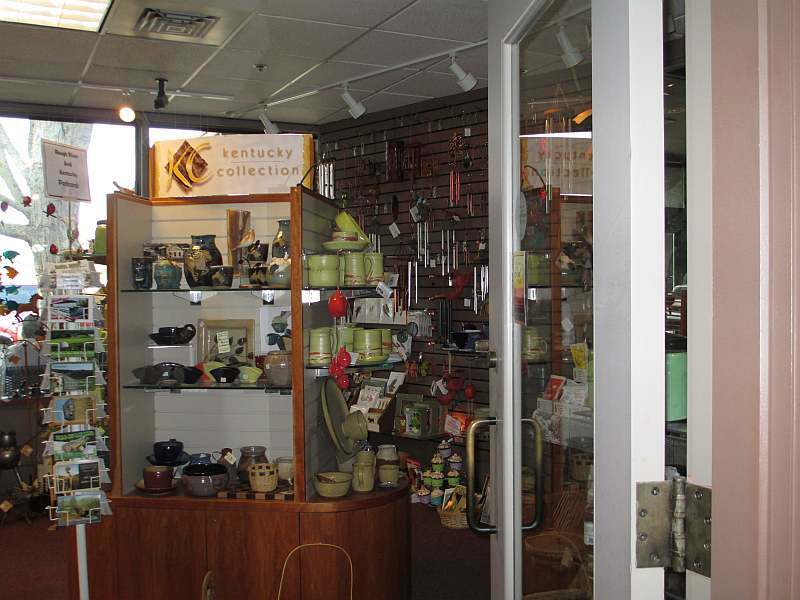 You’ll find highly unique Kentucky crafts, cookbooks, t-shirts, toys, figurines, mugs, pitchers, boxes of candy, wind chimes, jewelry and more in the Kentucky State Park gift shops. 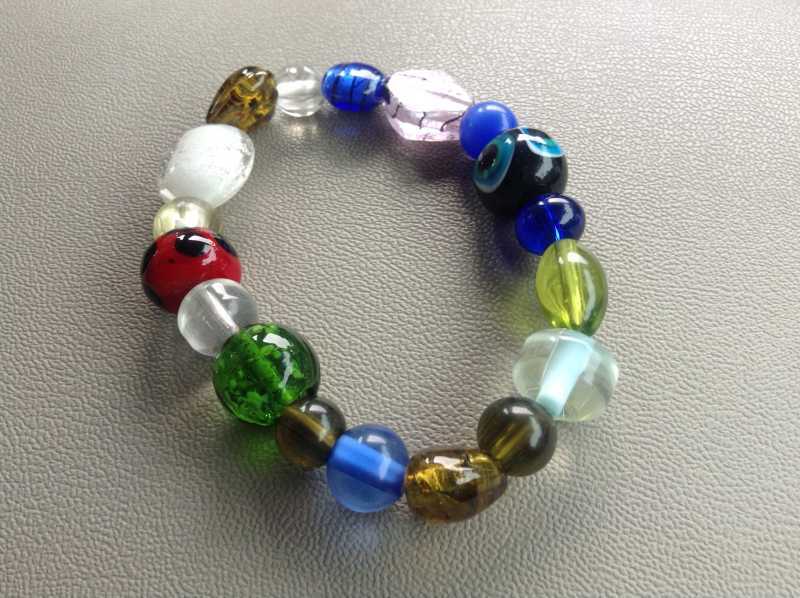 One of my own recent goodies is a beautiful bracelet that I get compliments on every time I wear it. I got it at Kentucky Dam Village last summer. I collect bracelets and have found that the parks consistently have some of the most originally beautiful bracelets around. 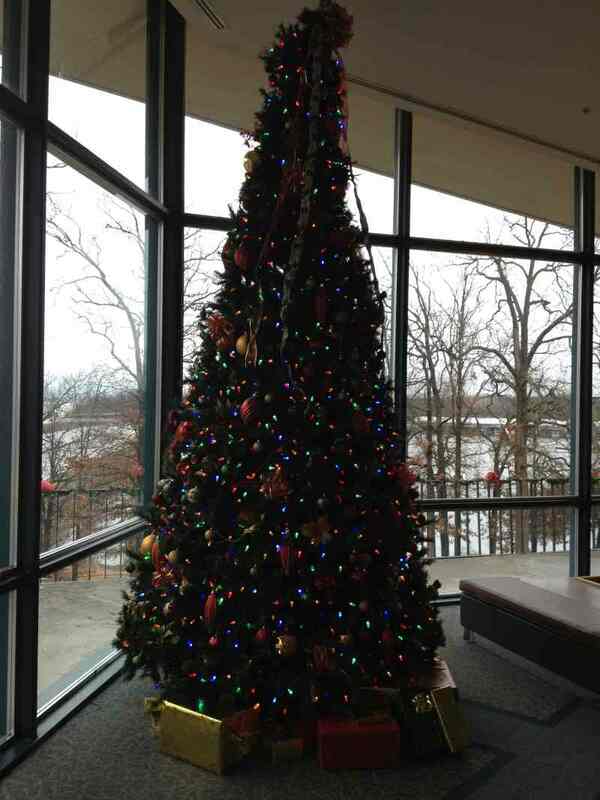 Another great idea for gifts that can be found at the Kentucky State Resort Parks is a State Park Gift Card. These can be used as cash at the different parks – for events, food, gift shops, etc. My favorite idea for gift giving, though is to create your own gift basket. The State Park gift shops make it easy to create one with a Kentucky Theme. Visit at least one Kentucky State Park this weekend and do a little last minute gift shopping. Not only will you find great gifts, you’ll be supporting “our own,” which is always priceless. Bracelet I bought at Kentucky Dam Village’s Gift Shop this summer. The beautiful lodge at Kentucky Dam Village State Resort Park has always been one of my favorite lodges in the State Park System. The outside of the lodge, while perfectly lovely (especially from the back), doesn’t prepare you for just how pretty the lobby is. As for the view, it’s killer. 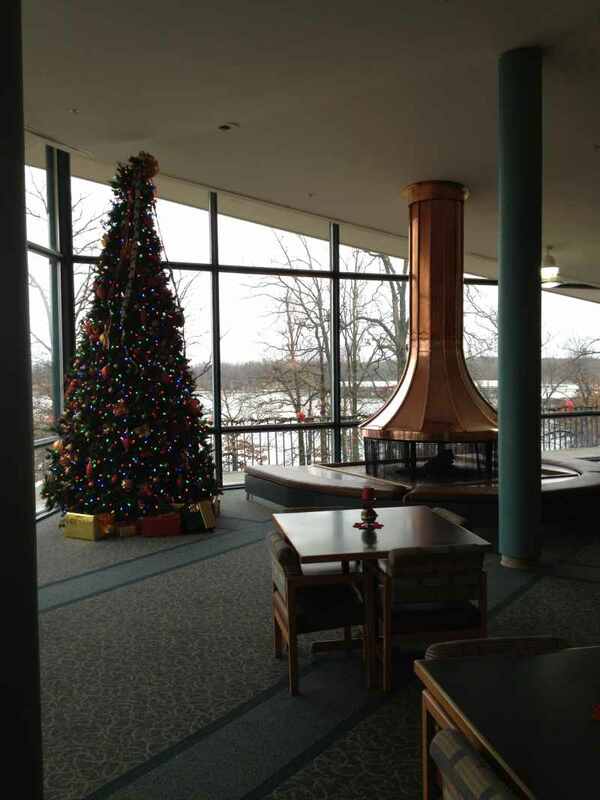 We were recently stopped in our tracks by the lodge’s beautiful Christmas decorations. The first words out of my mouth were, “Now that’s a tree!” The huge beautiful tree stands beside the copper fire place and it really is something to see. 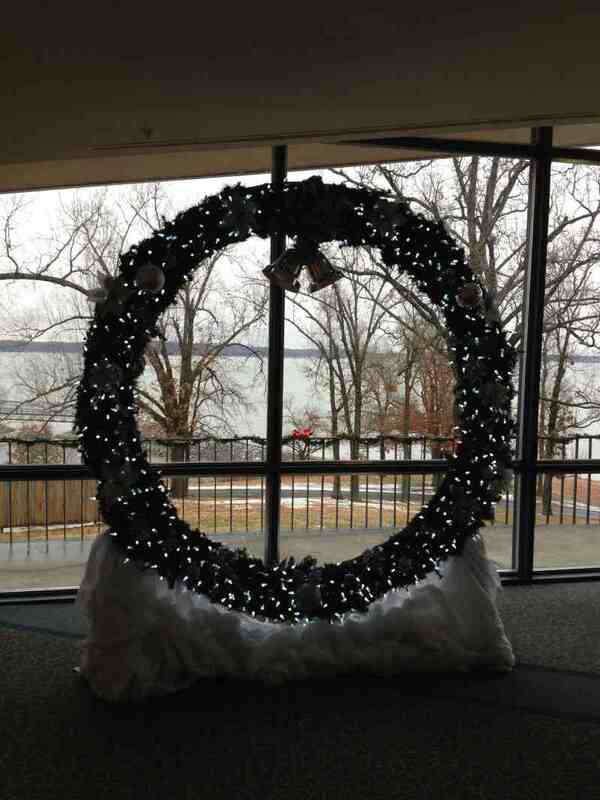 On opposite ends of the lobby, they have huge… and I mean huge… wreaths – which are also extra beautiful. Even the tables had adorable little decorations as centerpieces. On this particular trip, the staff represented their state park beautifully. The ladies at the desk were extra warm and friendly – but the hero of the day was the gentleman who happened to be cleaning the ladies room at the time. When he saw me coming down the hall, he could have just kept on doing his job (after all, I could have found other facilities!). Fortunately for me, he was a true Southern gentleman. He said, “Here, I’ll move all of this out of your way!” Then he, happily, moved his cart and cleaners out and left me to the spotless room. How spotless? I could see my reflection in the sink! This is the kind of person that gives the Kentucky State Parks their personality, their charm, and their heart. Bison remind me of big teddy bears with horns – of course, I wouldn’t suggest approaching them as such. Heck, I wouldn’t even suggest telling them that. They’re one of my favorite animals in the world, but I wouldn’t want to get in one’s path. I took the picture above on a trip to the Land Between the Lakes magnificent Elk & Bison Prairie a few summers ago. The ridiculously beautiful picture below is from the LBL. 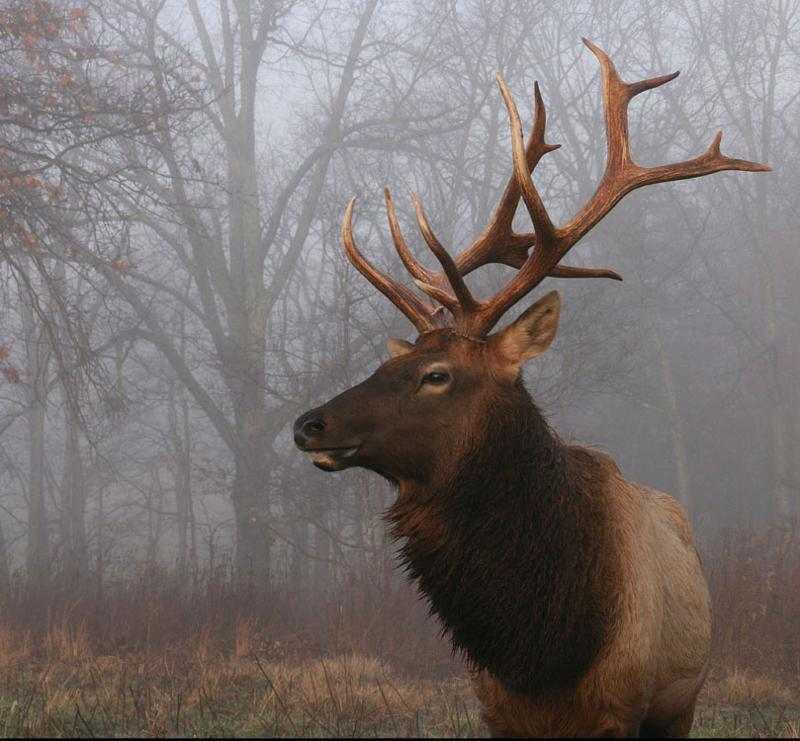 It was in a recent newsletter and when I saw it, I though, “Well, hello gorgeous!” I’m sorry for getting on my soap box for a second but… come on… how can anyone hunt?!?! Just look at this beautiful animal. I’m of the mind that the only thing Bison, deer, bears, wolves, elk, squirrels, and rabbits should be “shot” with is a camera. Unless it’s to fee yourself or defend yourself, there are too many other undeadly sports to enjoy. And dove hunting… don’t even get me started. Okay. Stepping down from the soapbox…. You know how we animal lovers are! 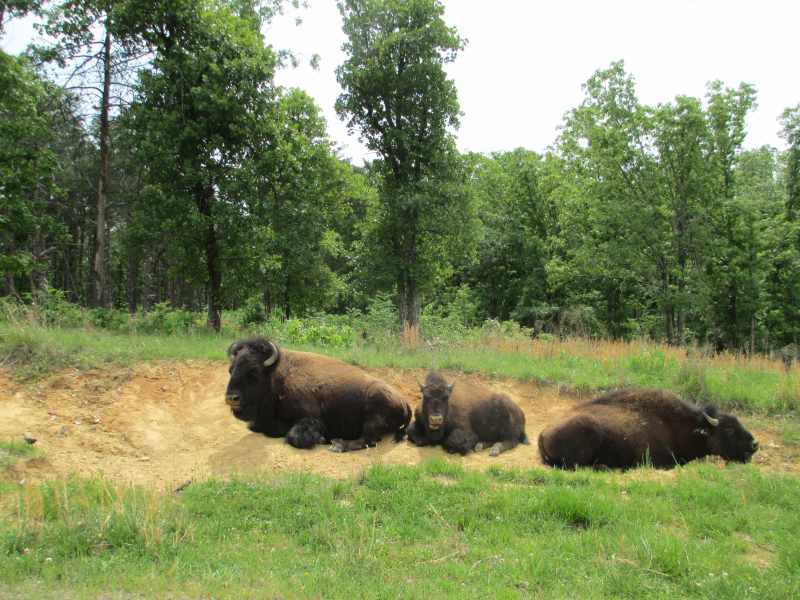 You can visit our Elk & Bison Prairie page on Genuine Kentucky for more pictures and information. Also be sure to check out the LBL’s official website for updates, information, and upcoming events. Don’t forget the prairie during the winter! As you can see with the Elk pictured above, visibility is even better with the absence of lush green leaves! The Prairie is open year round and is only $5 a vehicle – you can ride around the park (per visit) as many times as you’d like. My husband has learned, over the years, that his animal-loving wife requires him to always go with a full tank. Seriously, I never want to leave.